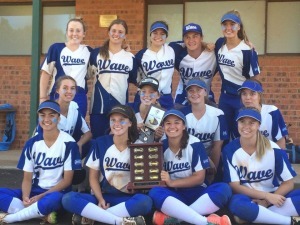 Hello and welcome to Endeavour Wave Softball Club's website. Here you can find information about the up and coming events and game times during the season. The 2018-2019 season commences on Saturday 8th September 2018 and will continue until March 2019. There are 5 time slots each Saturday that we play; Juniors are either 8.30am or 10.30am and Seniors are either 12.30pm, 2.30pm or 4.30pm. All games are played at Captain Cook Fields, Woolooware each week so no stress about figuring out where you are playing each week other than what diamond you are on.